Invicta Fighting Championships, the world’s largest, all-women’s mixed martial arts organization, began in 2012 as the vision of longtime industry veteran Shannon Knapp. 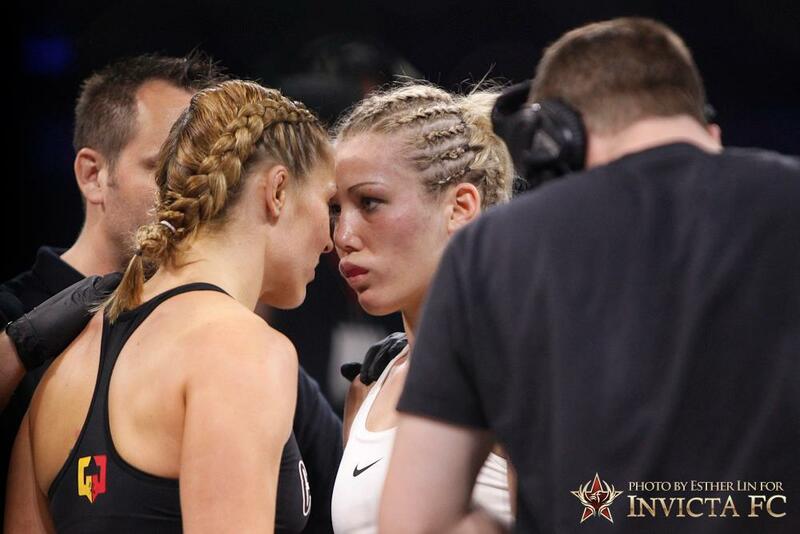 It was clear to Knapp that the sport of MMA lacked a major platform for professional female fighters to compete on a consistent basis. In April of 2012, the promotion hosted its first event from its base of Kansas City. The event streamed live and free on InvictaFC.com and proved to be a huge success. A second event followed in July of that year. The year ended with a major milestone as the first Invicta FC champion was crowned at Invicta FC 3 in the atomweight division. After a successful first year of operations, the organization continued to grow exponentially in 2013. 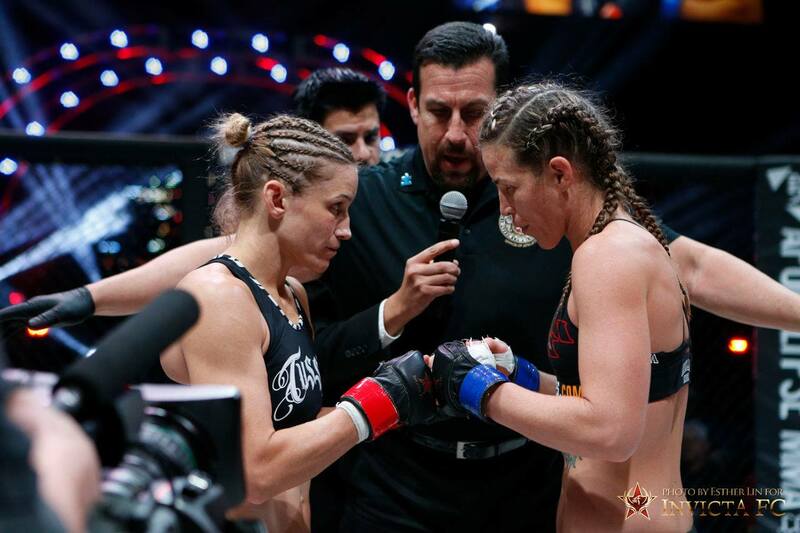 Invicta FC 4 kicked off the year as the first event to air via online pay-per-view and featured the promotion’s inaugural strawweight title bout. In the spring, a flyweight champion was crowned, but that was only the tip of the iceberg. The promotion’s sixth event moved to televised pay-per-view in the United States and Canada. In the main event, the inaugural featherweight belt was awarded. 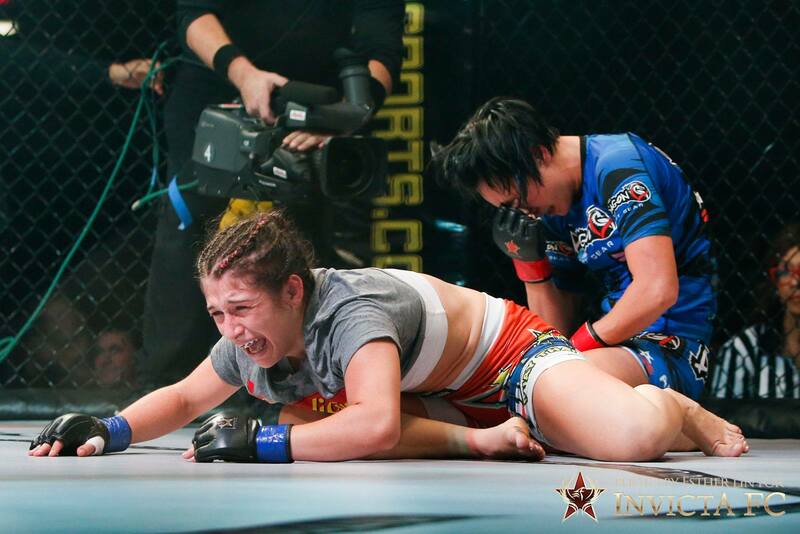 At Invicta FC 7 in late 2013, the promotion’s fifth and final title was handed out in the bantamweight division. More milestones followed for Invicta FC in 2014. The promotion secured a deal with UFC Fight Pass, becoming the first organization to have its events air live on the digital streaming platform. In addition to securing its broadcast future, all of the promotion’s past fight archive was added to the streaming service. At Invicta FC 8, the organization aired its first event on UFC Fight Pass and also added a sixth weight class, hosting its first lightweight contest. The fight card also saw the promotion crown its first champion from Europe, joining titleholders from the U.S.A. and Brazil. The growth of the promotion took another step forward in the second half of 2014, as the promotion held its first events outside of Kansas City. Invicta FC 9 ventured to Davenport, Iowa, while Invicta FC 10 emanated from Houston. Things did not slow down in 2015, as the promotion kicked off the year with its first events in Los Angeles and Las Vegas. The promotion later returned to both vicinities in 2016. In 2017, champions from Russia and Australia were crowned and the promotion celebrated its historic 25th event in Northern California. The following year, Invicta ventured further, touching down in Salt Lake City and Oklahoma. Knapp continued to change the game in 2019, announcing the Phoenix Rising Series, a one-night tournament format that returned the sport back to its roots. While there are still many chapters to be written, Invicta FC is committed to pioneering the future growth of women’s MMA by promoting the best possible match-ups, as well as identifying and developing future superstars of the sport. Invicta president and owner Shannon Knapp worked with top organizations in MMA for fifteen years including IFL, Strikeforce, and UFC, and cut her teeth in broadcasting with King of the Cage and Sportfight. The former self-defense instructor entered MMA, to help shape the industry in a positive manner as an athlete’s advocate. Over the years, her experience throughout many organizations, and ultimately with Strikeforce’s sale, left her feeling spit out by the grind after dedicating so much of her life to the sport. That, coupled with the disillusionment expressed by all the female fighters who no longer had a top-flight league to fight in as the UFC had one a single, brand new women’s division, pushed Knapp to develop Invicta FC. After working for so many promotions, Knapp realized she needed to create her own space. Someone had to do something for the fighters. Knapp heard that oft repeated song that women’s MMA did not have enough depth but she knew it was simply a problem of a lack of an organized platform. Shannon Knapp wanted an organization where female mixed martial artists could fight top athletes in their real weight-classes and also where burgeoning fighters could develop their skills.